You have heard your friends talk about it, you have seen a lot of clips on youtube, you have seen all of these posts on Instagram and you still think if you can do it. Let me remind you of something: You did many things in your life, most of them bad… haha not, just kidding. For a change, you can do something healthy and fun at the same time, meet new people and open your horizons to some new point of views. Life is full of surprises, and I am sure after this you will see Cyprus as you have never seen it before. Lets cut to the chase: Kiteboarding aka kitesurfing or kite is an extreme sport! 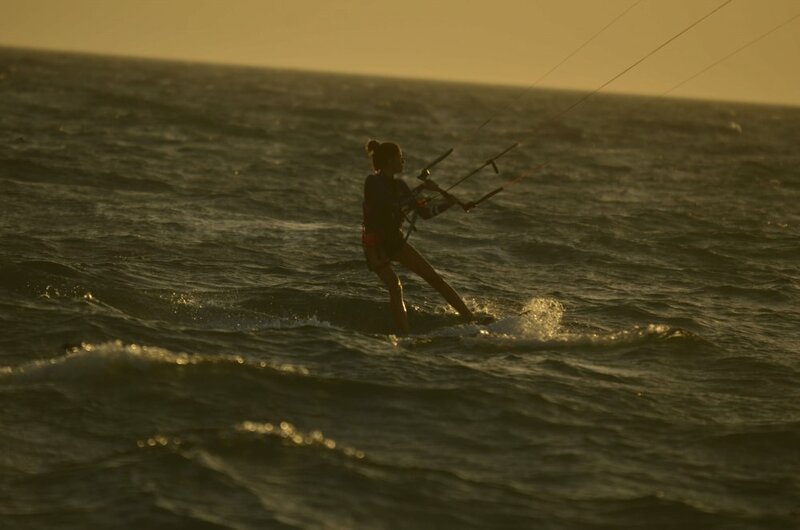 You are being propelled by the wind using a kite, on your feet there is a board and sometimes it feels like wake boarding and some other times like surfing and most of the times like nothing you ever felt before. This sport is very weather dependent. Without wind the kites do not fly and you cannot kite. We can kite in the waves but we can also kite in flat water because we generate power from the wind not the wave. In kiteboarding we have many disciplines wave-riding, freestyle, speed/race , foil ,snow kite / snow ski/ , land boarding anda few more. As soon as you enroll in your course, we will immediately start with learning the kite, how it works and start practicing . Like a bicycle or like a car, it takes few hours to master it and the more you do it the easier it becomes. The whole course takes four days, in which we will cover all the safety aspects of the sport, all the technical knowledge you need to know and of course all the practice you need to do, to be able to finally kitesurf without any instructor be your side. Our certified instructors will make this course fun and enjoyable for anyone, boy or girl above 11 years of age. Visit our website www.kiteboardingcyprus.com for more info or give me a call to talk about it on +35796210066.